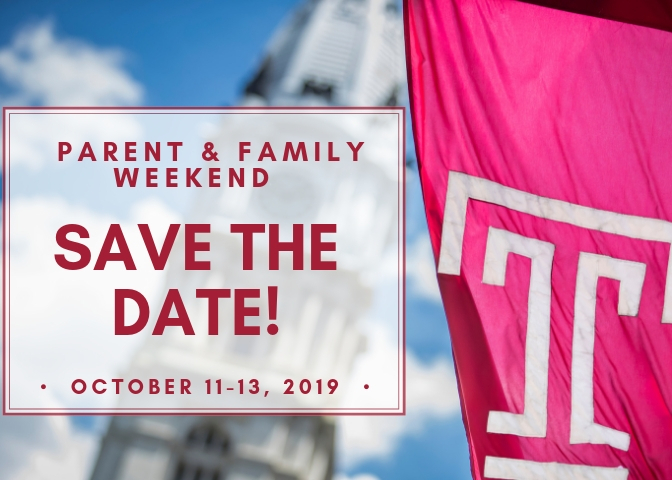 Parent & Family Weekend is an annual event designed to allow parents and families the opportunity to reconnect with their students while taking in the sights, sounds, and recreational opportunities that Temple University and the city of Philadelphia have to offer. It is also a great time to experience first-hand what life is like on campus and off. We hope that our parents and families take advantage of Parent & Family Weekend and that they see how much Temple University values their partnership and support in making their student's college experience so extraordinary! Throughout the weekend we will also be highlighting other ways for continued engagement.